Whether you’re looking for adventure, culture, history or indulgence there’s something for everyone in the Lake District. The Lake District is widely known for its luscious green landscape, glistening lakes, incredible walks and breathtaking scenery. If you’re looking to escape from the hustle and bustle of the average working week and enter a vacuum of utter peace and tranquility, the Cumbrian Lake District is the perfect place to retreat to. Experience panoramic views of nature like you’ve never seen before and immerse yourself in the friendly local atmosphere while you feel the hassles of everyday life just drift away. Not only does the Lake District boast unforgettable views unlike any other, but it is rife with rich history spanning back for centuries. The Lake District was rightfully granted UNESCO World Heritage status back in July 2017, now bearing prominence similar to that of other epic wonders of the world such as the Grand Canyon, the Great Barrier Reef and the Taj Mahal to name a few. Now from what you probably already know about the Lake District, you’ll be expecting magnificent peaks, long walks and probably some bad weather too… However don’t let this put you off! There are still plenty of activities to jot down in your itinerary that don’t involve getting a soaking in the great outdoors – however we would definitely recommend getting out at least once to take in the natural beauty of the Lakes while you’re visiting come rain or shine! For some ideas of things to do in the Lake District keep on reading. You’ll find a variety of adventurous, outdoor activities for the thrill seekers out there, but also some more relaxed, indulgent experiences for those wanting a more decadent country escape. The list is so exhaustive we have had to split the experiences into two parts, so keep your eyes peeled for Part 2! If any of these experiences appeal to you, The Trout Hotel can help you plan your Lake District visit, including overnight accommodation in one of our stylish rooms and a freshly cooked breakfast the following morning to get you going. A trip to the Lake District would not be complete without a signature, behind-the-scenes tour of Cumbria’s renowned Lakes Distillery! Whether you drink whisky, gin or vodka, the nearby Lakes Distillery has them ALL. Even if none of these are your drink of choice, a tour of the Lakes Distillery still makes for an informative and unmissable day out. The tour is very insightful, taking you on a journey through the fascinating history of the Distillery and how they successfully transformed an old, run-down 150 year old Victorian Farm into one of the world’s leading whisky distilleries. You will also get up close and personal with the spirits, witnessing the process of how each is made, allowing you to fully experience the sights, sounds and smells of a world-renowned distillery first hand. Of course, a distillery tour would not be complete without a trip to the tasting room, where you will be able to sample the delicately crafted creations. The location alone is breathtaking, situated amidst grand oak trees and panoramic Lake District views, only six miles from the The Trout Hotel. Not to mention, the Lakes Distillery has an incredible Bistro regarded as one of the best places to eat in the Lakes, plus be sure to find their resident alpacas hanging about on the grounds who are ready for your selfies! 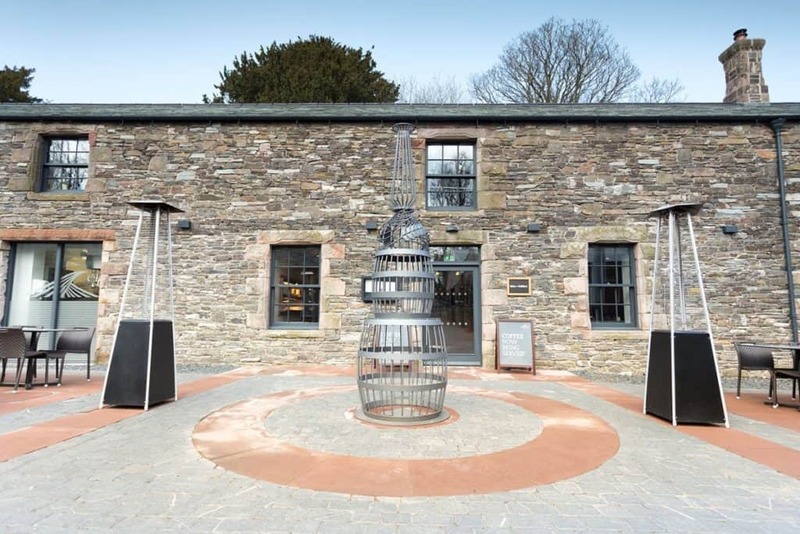 Not only is the Lakes Distillery creating waves in Cumbria, but it was bestowed the honour of being named one of eight distilleries across the world that you MUST visit in your lifetime by World Whisky Day – making for an essential visit while you’re in the area. For more details on this Lakes Distillery experience click here. Just about everyone in the UK has heard of the famous romantic poet, William Wordsworth. But did you realise that his birthplace and childhood family home is based right in the heart of Cockermouth on Main Street? In fact, the glorious Georgian building is situated smack bang next to the Trout Hotel! Take a trip back in time and explore one of the Lake District’s most historic and iconic buildings. Wordsworth grew up in this house with his family in the late 18th century and the family home hasn’t seemed to change one bit. It is presented just as it was when William and his sister Dorothy were young. Explore the house’s rich history and participate in the interactive activities presented by the volunteers running the house. View the home’s fully-functional 18th century style kitchen, the children’s bedroom, his father’s office plus other fascinating household rooms. You can even sample a typical recipe similar to that of what William and Dorothy would have eaten back in the 1770s! Take a trip down to the cellar, if you dare, where the family ghosts will be waiting to welcome you with their insightful stories. Equally, don’t miss out on a visit to the glorious Wordsworth garden either. The gorgeously restored garden lies on the bed of the River Derwent and exhibits some of the most beautiful plants and flowers imaginable. The house is populated by friendly guides who will be more than happy to help you envisage what life really was like for Wordsworth and his family way back when. There is also an on-site cafe serving cakes, cream tea, hot chocolates and light lunches just in case you get peckish! Fancy a historic trip? 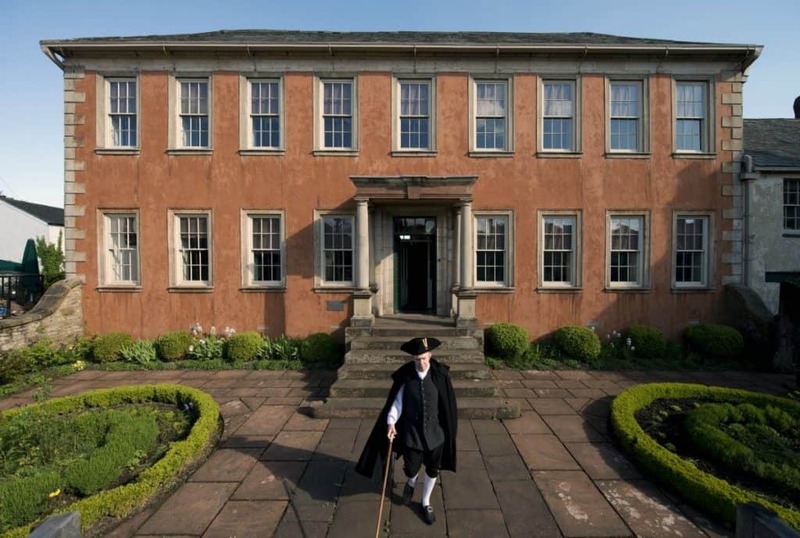 Read more about the William Wordsworth experience here. Fancy taking in the natural beauty of the Lake District without having to trek up the fells or in fact, do any walking at all? Then why not put your feet up and explore the Lakes by water transport instead?! 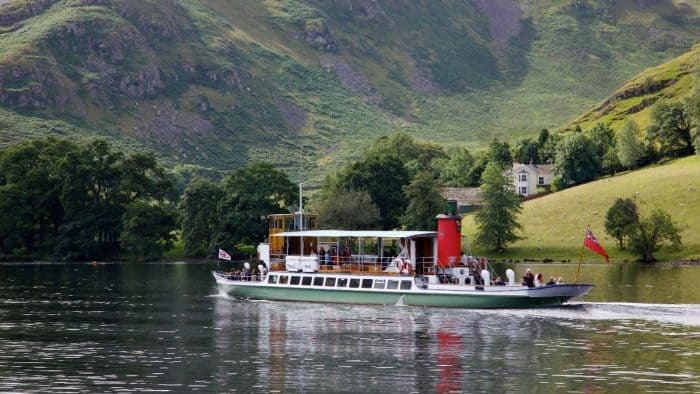 Not far from the Trout Hotel, you’ve got the choice of exploring Derwentwater Lake by Keswick Launch Co. or immerse yourself in the panoramic views of Lake Ullswater by Ullswater Steamer. Equally, you can do both! – Two lakes in two days. 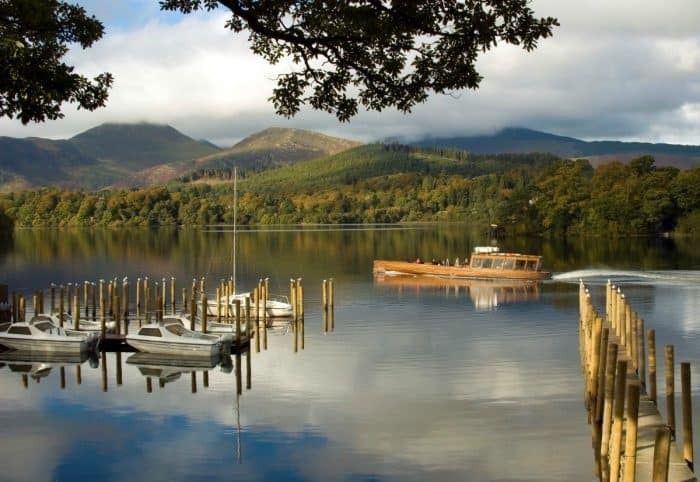 The Keswick Launch Co. offer a number of picturesque Lake District cruises, perfect for any weather. The cruises work on a hop-on hop-off basis, allowing you to depart at various landing ports scattered around the lake. You can even book a private lake cruise to commemorate a special occasion such as a party or a wedding. We recommend getting off outside the elegant Lodore Hotel and popping-in for some tasty nibbles or delectable beverage. Another must while you explore the circumference of Derwentwater is visiting the Lingholm Estate, nearby the village of Portinscale. This iconic estate was a favourite holiday destination of Beatrix Potter, now offering scenic landscape walks and sumptuous cakes available in the Lingholm Kitchen & Walled Garden. You may even spot a friendly alpaca or two! Discover more about a Keswick Launch explorer experience here. A bit further down the road you will come across one of Britain’s most beautiful lakes, Ullswater. The Ullswater Steamers are an award winning attraction that have been delighting guests for over 150 years! Hop aboard one of their heritage vessel ships and take in the impressive views. The Steamers boast excellent onboard facilities including licensed bars so you can sip on a glass of bubbly while you soak up the serenity of the Lakes. Choose to sit in either an open or covered deck seating area dependent on what the weather holds, or venture into their downstairs saloons. The Steamers allow you to depart at some of the Lake District’s best and most iconic walking routes and explore the beauty of Ullswater and surrounding area including: Glenridding, Howtown, Pooley Bridge and the stunning Aira Force Waterfall. Be sure to stop off at the Sharrow Bay Country House Hotel near the Howtown Pier to sample the original, first-ever Sticky Toffee Pudding recipe – despite counter arguments that it was initially created elsewhere! Discover more about an Ullswater Steamers experience here. If you want a break from looking at the picturesque sights of the lush scenery and the breathtaking mountains, why not entertain yourself (and possibly more importantly, the kids) by viewing some entertaining wildlife and / or sea creatures instead? 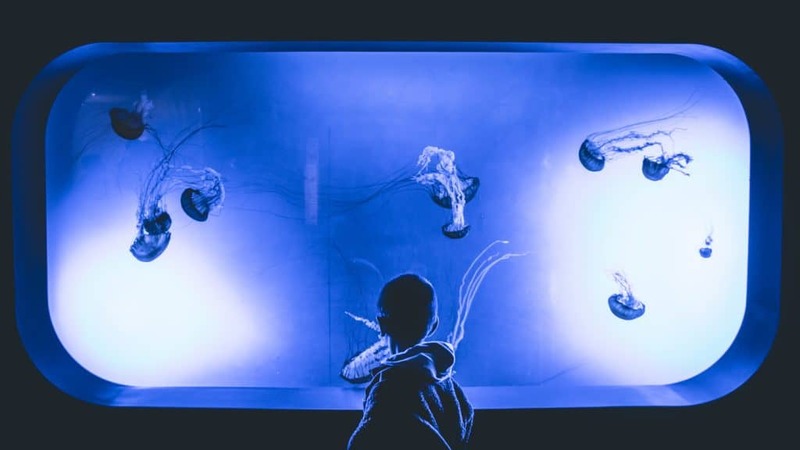 Whether you want to see some furry land critters or would prefer to discover more peculiar, aquatic lifeforms then a trip to the Lake District Wildlife Park or Lake District Coast Aquarium is sure to make for an inquisitive, fun-filled day. Perfect for family trips or even just for an alternative day out with friends. Get up close and personal with the animals by visiting this beloved Cumbrian wildlife park, situated just a 15 minute drive from the Trout Hotel. The Lake District Wildlife Park lays on the outskirts of Bassenthwaite Lake with a backdrop of Skiddaw planted on its horizon. Traverse 24 acres of joyous parkland in search of over 100 species of wild and domestic animals. 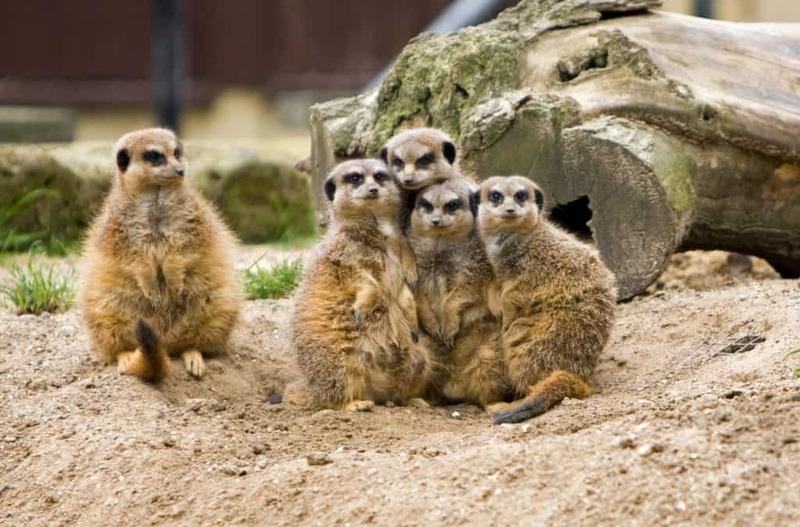 Look out for family favourites including meerkats, lemurs, gibbons, zebras, bagot goats plus many more! Get involved with some of the other activity highlights available throughout the day such as animal talks, birds of prey displays, reptile encounters and even the chance to hug a bunny. You can also book an exclusive hands-on experience where you can meet the meerkats and lemurs to make it an extra special occasion. It’s a fun day out for visitors of all ages so grab your safari gear and come along! Learn more about the Lake District Wildlife Park experience here. Alternatively, if it’s underwater sea-creatures that spike your interest, then the Lake District Coast Aquarium is the place for you. The aquarium is based in the harbour town of Maryport situated on the western coast of Cumbria, close to the harbour. The Lake District Coast Aquarium has over 75 exquisite aquatic displays for visitors to ponder over which the aquarium continue to expand on. You can also grab a bite to eat in the Harbourside Cafe. Fill up on delightful cakes or sample the catch of the day while you sit back and watch the soothing harbour tide wade in. For any keen fishermen (or women!) out there, the aquarium also has a bait & tackle shop so you can get your mitts on any fishing equipment you may want if you do intend to do any fishing while you’re here in the Lake District! Learn more about the Lake District Coast Aquarium experience here. 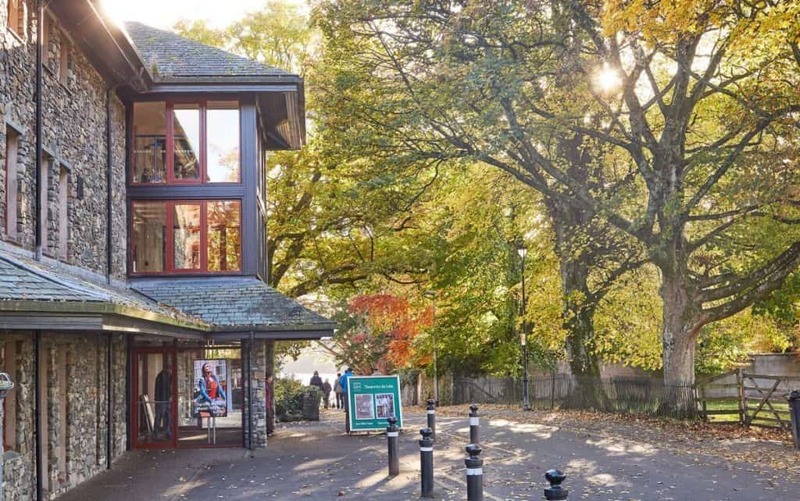 According to The Independent, “Theatre by the Lake has brought the magic of theatre and the excitement of the imagination to one of Britain’s loveliest and remotest counties.” Therefore, if you fancy a bit of arts and culture during your trip to the Lake District then be sure to pay a visit to Keswick’s Theatre by the Lake. The charming Theatre lies on the shores of beautiful Derwentwater surrounded by luscious greenery and magnificent Cumbrian vistas of the fells that populate the outskirts of the lake – making it one of the most romantic locations for a theatre in the whole of the UK. The yearly events programme is filled to brim with plenty of captivating productions in the form of theatre, film and even one-off concerts, meaning there is always something on to entertain. The beloved theatre remains a firm favourite of the local people of the Lake District and Cumbria and has even attracted some very famous faces in recent years including Sir Ian McKellen! The Trout Hotel has good relations with the Theatre by the Lake and we can offer our guests discounted tickets to shows. To find out more information about this experience click here. For any classic car buffs out there, cruising around one of the nation’s most beautiful locations in a stylish, vintage ride is an absolute no brainer. Whether it’s sports cars, vintage cars or classic cars you fancy, they’re all available to hire from the Lakes and Dales Classic Car Hire allowing you to explore the Cumbrian roads in ultimate style. 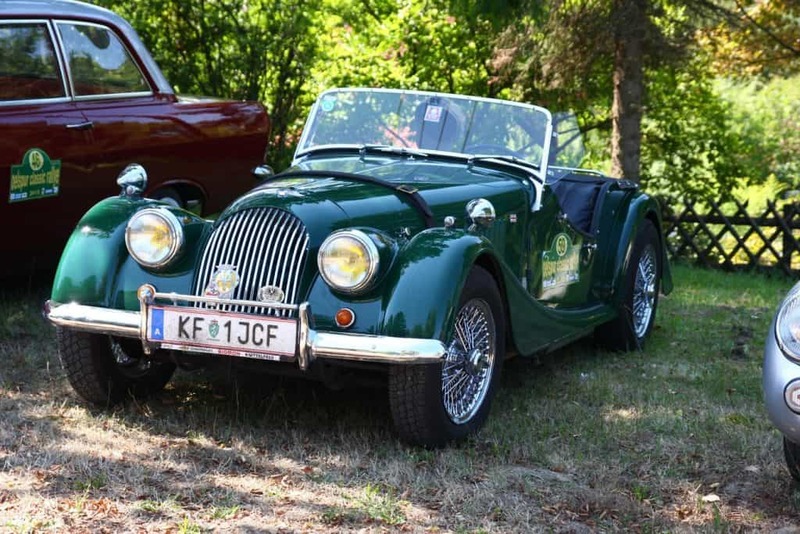 Lakes & Dales Classic Car Hire, have a beautiful collection of perfectly restored and maintained classic sports cars that can be hired for short breaks including Morgan 4/4, Austin Healey Frogeye Sprite MK1, Lotus Elise S1 plus many more. Drive through the quaintest of towns and villages, discover quiet picnic spots, and experience the unique serenity of cruising your motor lakeside. We can arrange a package experience tailored just for you. Whatever way you decide to explore the Lake District, learn more about this experience and see the full list of cars available for hire here. Now if you really do fancy an active challenge while you’re in the area, this may be the ideal thrill-seeking activity to really get your adrenaline pumping! 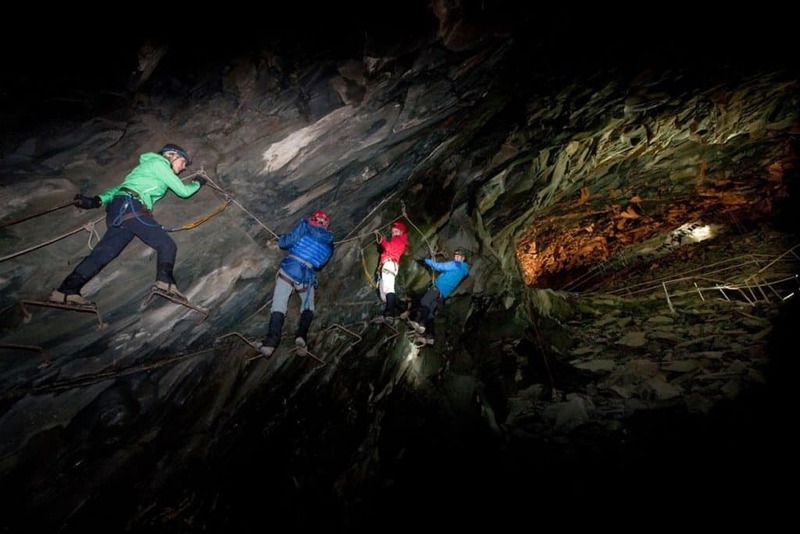 You may have already heard about the Honister Slate Mine which has cemented itself as a staple pitstop for outdoor activity junkies seeking adventure in the Lakes – and this is your chance to explore it. Sitting at the head of Buttermere Valley, Honister boasts an impressive and rather extreme Via Ferrata. For anyone who doesn’t know, Via Ferrata is Latin for “Iron Way” and is a route around the side of a mountain using iron ladders and cable footholds. 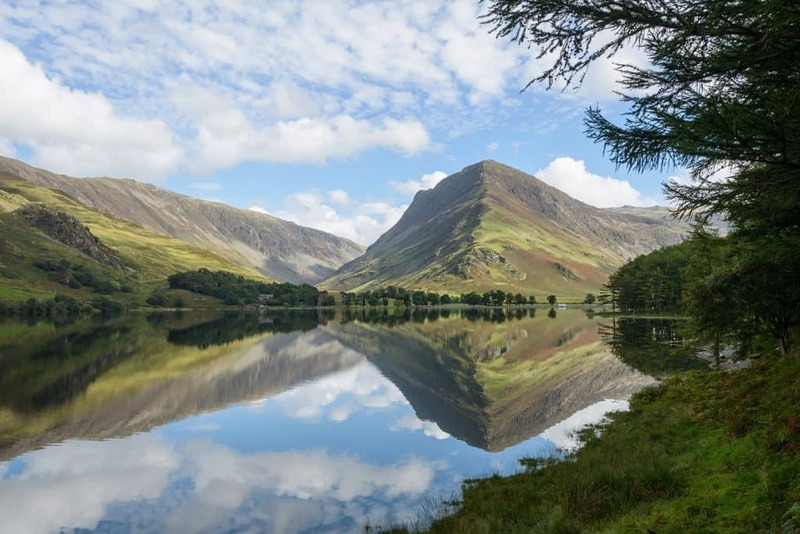 At Honister, visitors are given the opportunity to challenge the imposing presence of Fleetwith Pike, which standing at an impressive 648 metres, provides brave visitors with a breathtaking outdoor experience. The experienced instructors will take good care of you for the day and give you the option of tackling the Classic Via Ferrata, or the more difficult Via Ferrata Xtreme. To learn more about each route click here. 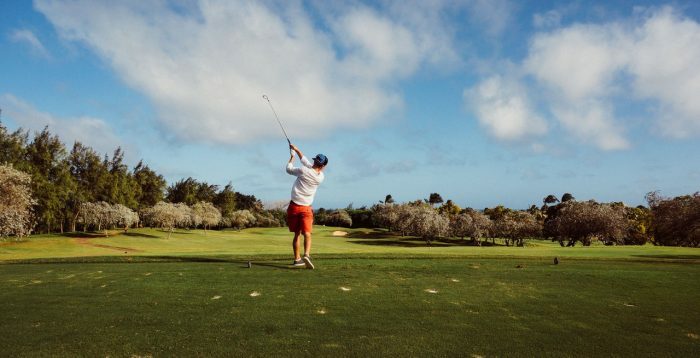 If you are a keen golfer who is a fan of your golf breaks, Cumbria and the Western Lake District have some brilliant and expansive golf courses for you choose from. Not only are the golf courses suitably challenging and spacious, but being set in a National Parks makes for some of the most incredible and unique views imaginable. Cockermouth Golf Club is a spectacular fellside course featuring a challenging 18-hole layout, with unique views over Bassenthwaite Lake and the Lake Districts stunning Buttermere Fells. Situated only 3 miles from The Trout Hotel, whether you’re enjoying a couples weekend retreat, a family holiday or golfing break – the club is well worth a day out. To learn more about this course click here. Known as one of the premier golf courses in Cumbria, we’d highly recommend that any avid golfers who stays at The Trout Hotel take the short drive to visit Workington Golf Club. The challenging greens boast ample views of the glorious Solway Firth and Lake District. With plenty of natural hazards to negotiate, the course has been described as providing “imaginative” and “challenging” play. To learn more about this course click here. Tucked away in a quiet corner of northern England and on a magical sea front location, there are no modern day influences to distract you from the magnificent Silloth on Solway Golf Club. This is a course that is becoming widely recognised as one of the UK’s best golf courses. Not only does it overlook the stunning Solway Firth, it’s less than a half hours drive from The Trout Hotel’s front door. To learn more about this course click here. If we have successfully managed to tempt you with any of these brilliant Lake District experiences and you need any help with organising your trip, The Trout Hotel can help! We can plan your visit for you and arrange your Lake District activities and include them in the price of your accommodation. Keep your eyes peeled for Part 2 of our ‘Things to do in the Lake District’ blog series so we can enlighten you with even more incredible and unique Lake District experiences that may tickle your fancy.